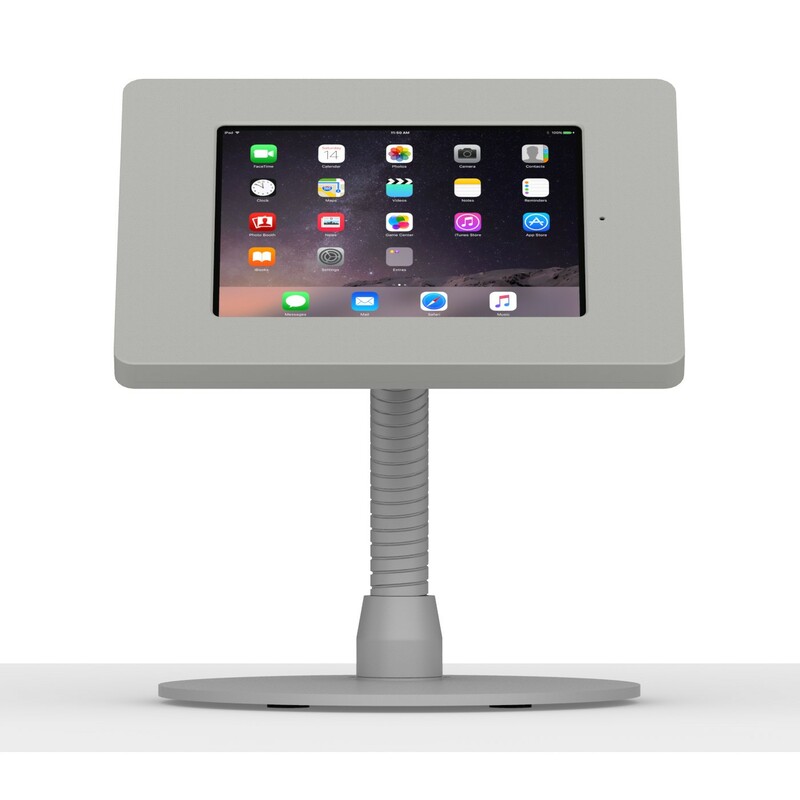 Converts any iPad Mini 1, 2, & 3 into a flexible table, desk, or countertop tablet terminal / work station. 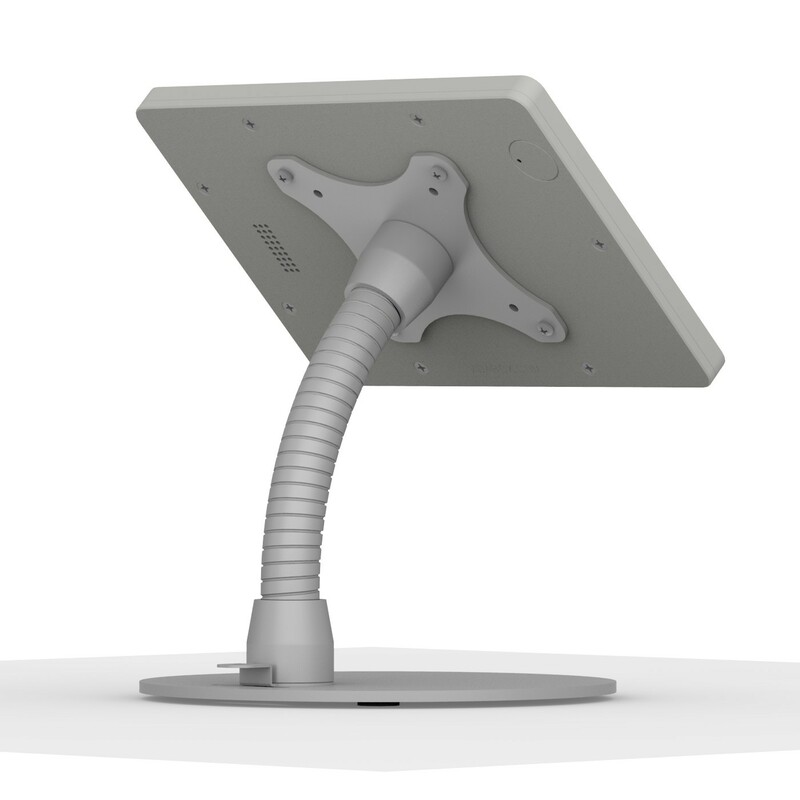 Secure tablet stand with hidden wiring allows for a clean and effective looking kiosk. 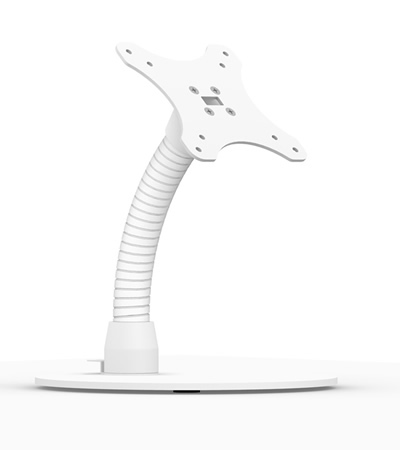 The Portable Flexible Stand is the ideal kiosk for user interactions. 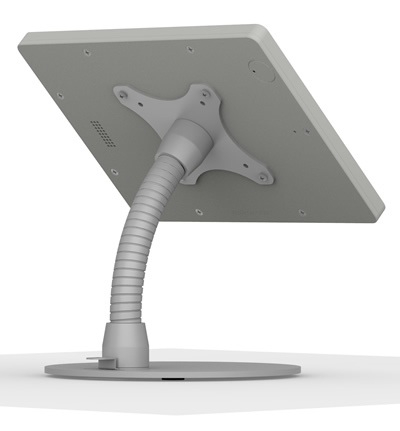 The flexible column allows users to perfectly position the tablet or vesa compatable device to the angle of their liking. This makes viewing and interacting with the stand comfortable and convenient for all. The Base Piece allows for this stand to be portable and free standing on any table, desk top or countertop. 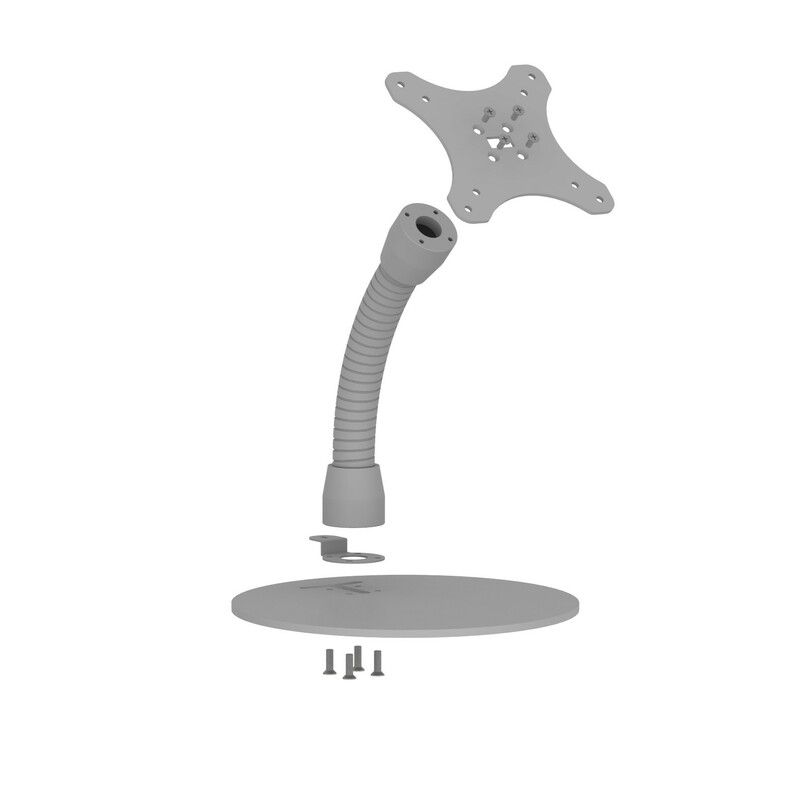 The non-slip pads at the bottom ensure that the stand will stay in place while in use. Ideal for those who need a fast set-up for tradeshows or other dispalys. This piece comes with a kensington lock to ensure security of your kiosk or set-up. 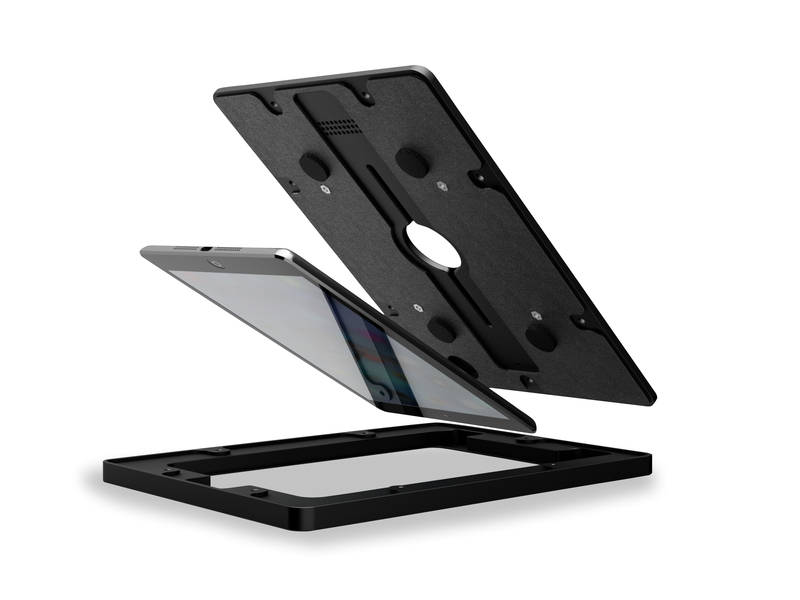 Our VidaMount VESA Tablet Enclosures are engineered like no other enclosure on the market today. With attention to details like a mic hole, speaker grill, interior pads for tablet protection, and a power button service knockout. 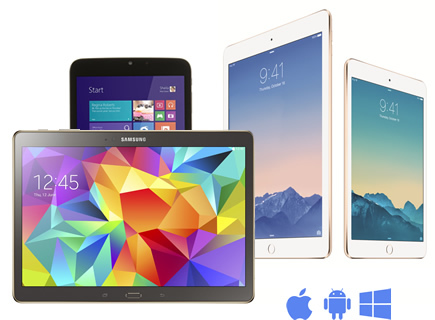 Our enclosure fully wraps your iPad or Android tablet for ultimate protection and theft prevention. 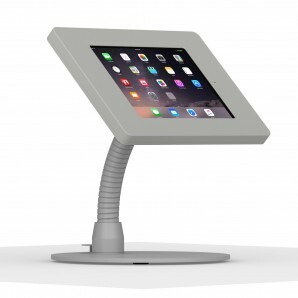 The VidaMount Portable Flexible iPad / Tablet Stand is an adaptable kiosk for users. The kiosks flexing ability allows for the optimal angle to be reached for user comfort while utilizing the tablet. 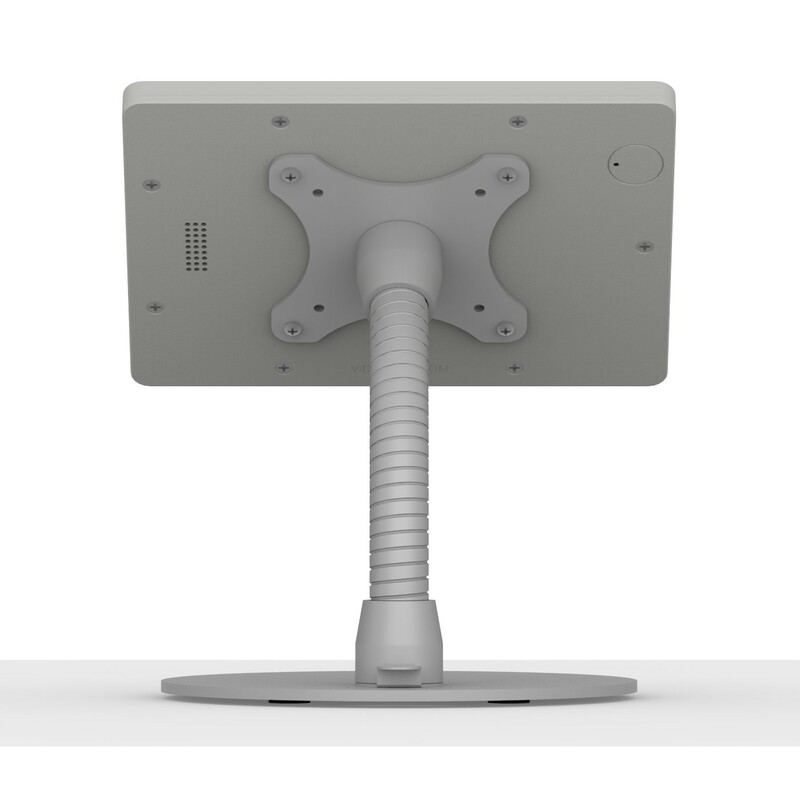 Once assembled, it is as simple as placing the VidaMount on top of a surface and the tablet kiosk is ready to use - may we say it is "installation independent". 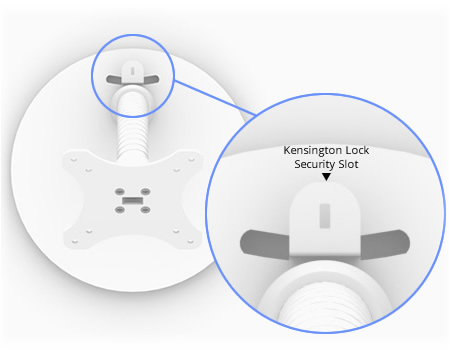 The additional Kensington lock makes certain that the kiosk is secure. This stand can easily withstand the high traffic abuse of typical kiosk environments. Cables are easily hidden through the stand flexing internal channel. All of these attributes allow for a secured tablet kiosk with long term aesthetic appeal and endlessly accommodating options. 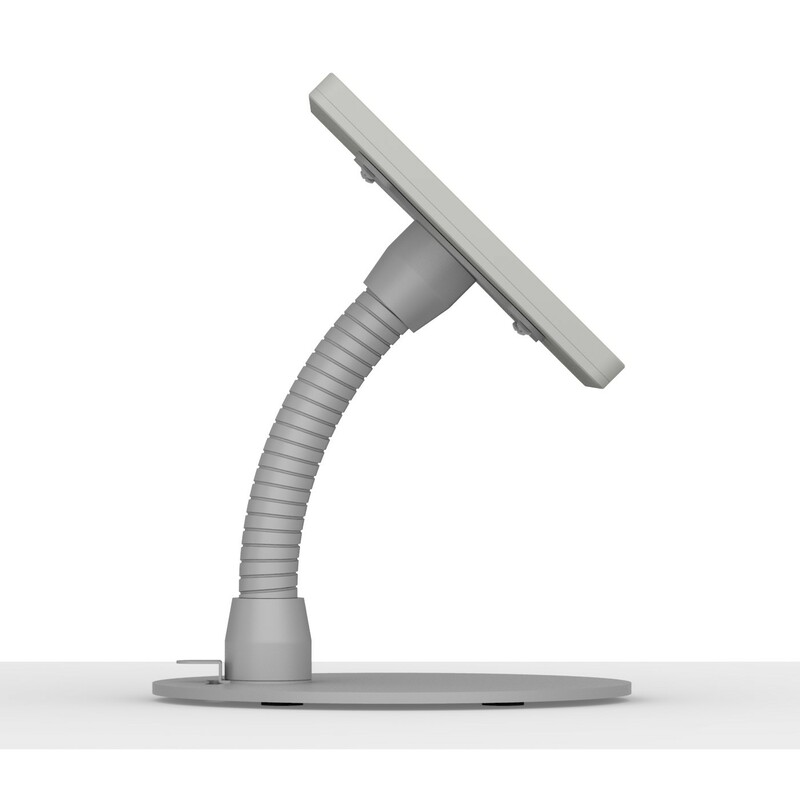 Let this stand "flex" its muscle and elegance in your tablet kiosk set-up. 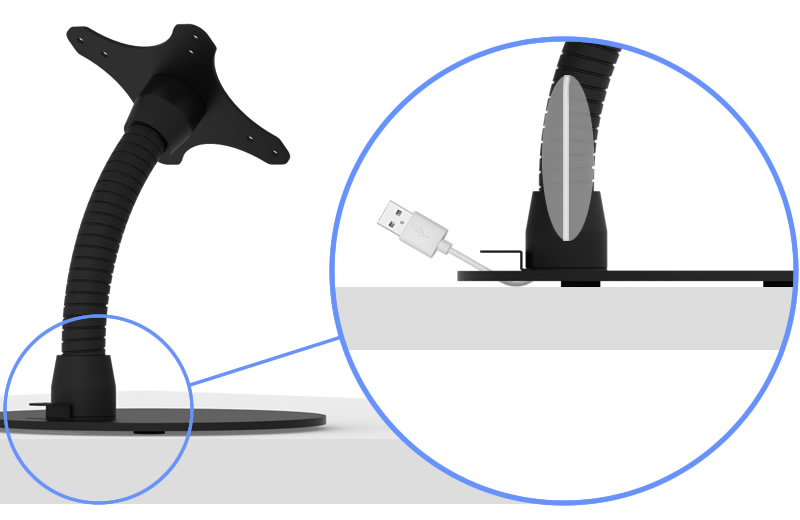 The USB charging cable can be passed through the mounting plate's center hole, which is sized to allow for most USB connectors to pass with ease. 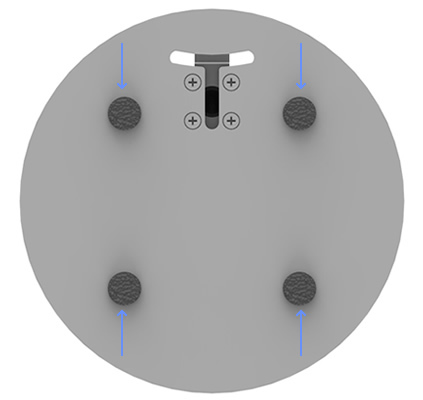 Once inside the stand's hollow center column, the cable can be passed through the bottom and out of the base piece. All wires are kept nice and neat. This turly allows for a portable "plug and play" kiosk set up. 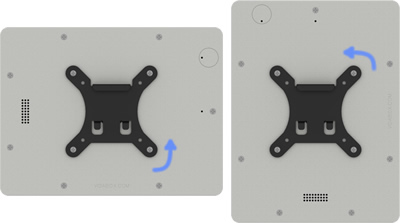 The non-slip pads located on the bottom of the base piece allow for stability and portability, all at the same time. 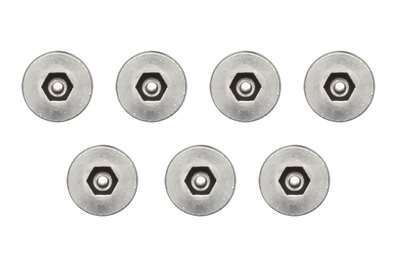 These provide balance and strength to the base and to your surface stand kiosk at large. 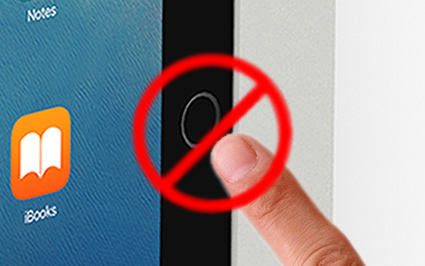 No slipping or moving allows for ease of interaction for users. Our Portable Flexible stand includes a Kensington Security Slot that is compatible with any Kensington laptop security lock and cable system.